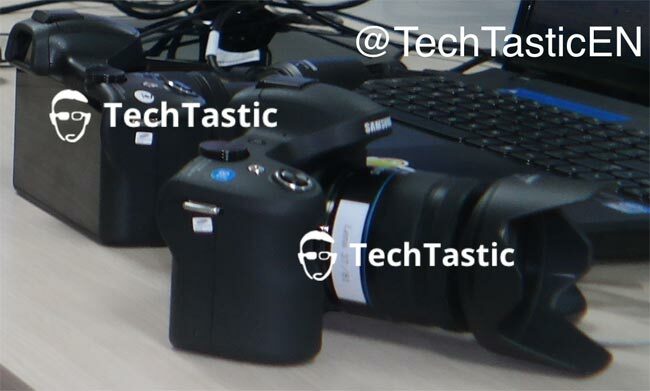 We just saw some press shots of the new Samsung Galaxy NX Camera, and now it looks like we have an actual photo of the device, which is expected to be announced at Samsung’s London press conference next Thursday. The Samsung Galaxy Camera NX will apparently be powered by Google’s Android OS and will feature a 20 megapixel camera, the device will feature a qHD display with a resolution of 540 x 960 pixels. It will be interesting to see what features this new Android powered Samsung Galaxy NX Camera comes with, we will have more details on the device next week.